This Beam Profile Screen Monitor has been developed for use on SACLA, a compact 8GeV X-ray Free Electron Laser located at SPring-8, Japan, with the SACLA project team. These monitors are installed in the accelerator and undulator sections of SACLA as well as in the experimental beamline, a total of 43 units installed. 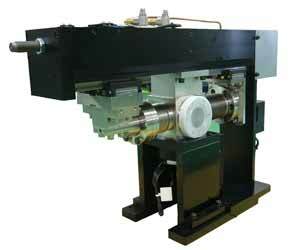 The Beam Profile Monitor is a screen monitor used to measure the transverse beam profile. It can use a fluorescent screen for low energy beams or an optical transition radiation (OTR) screen for high energy beams. 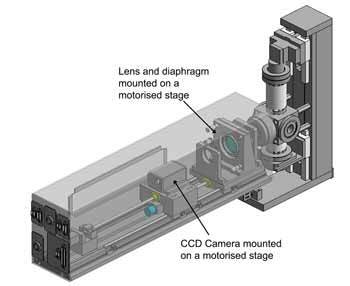 The imaging system is made up of a custom lens and diaphragm system and a CCD camera both mounted on motorised stages which can be adjusted remotely. These allow for a magnification of up to 4 times. The beam profile monitor can measure very small beam sizes up to approximately 100µm.